6" heavily ruffled clear pink with green throat. Awards: Honorable Mention 1993, Award of Merit 1996. Isn't this one really pretty!!!! I am so glad I have it. 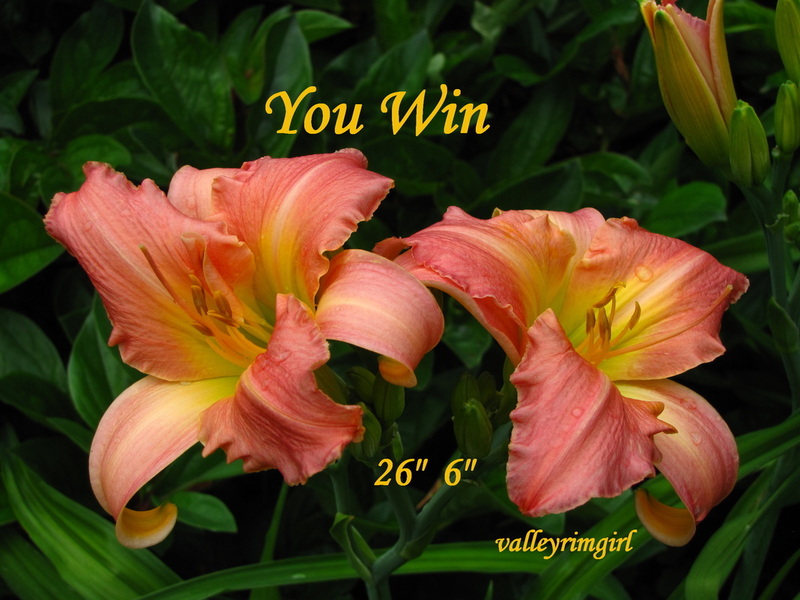 The only reason I do, is because a friend of mine was collecting all the alphabet in her daylily collection and so, I got a plant of it at that time too. 10" medium purple spider self with large chartreuse throat. Spider Ratio 4.35:1. Nocturnal. 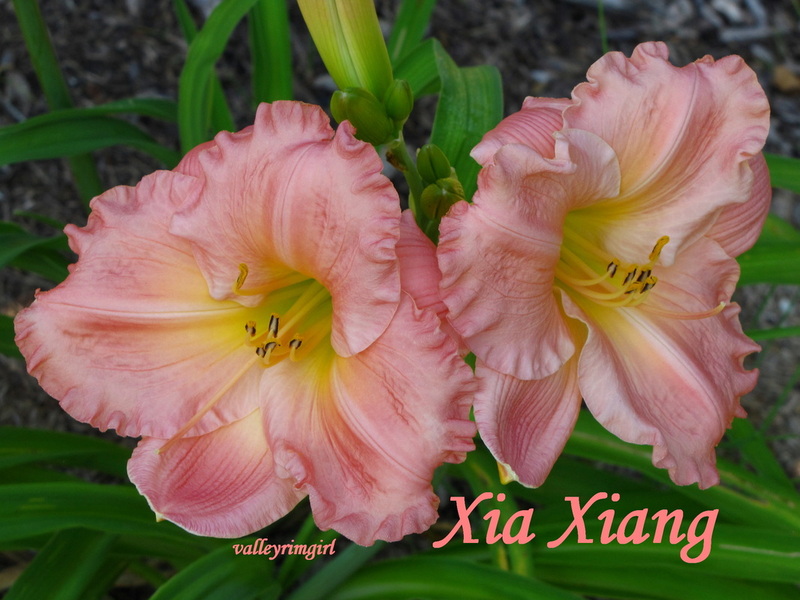 Recurved with pinched petals. 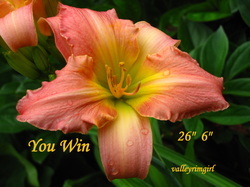 Awards: Harris Olson Spider Award 1997 for best spider or spider variant daylily, Honorable Mention 1997, Award Of Merit 2000, Eugene S. Foster Award 2007 for best late blooming daylily. 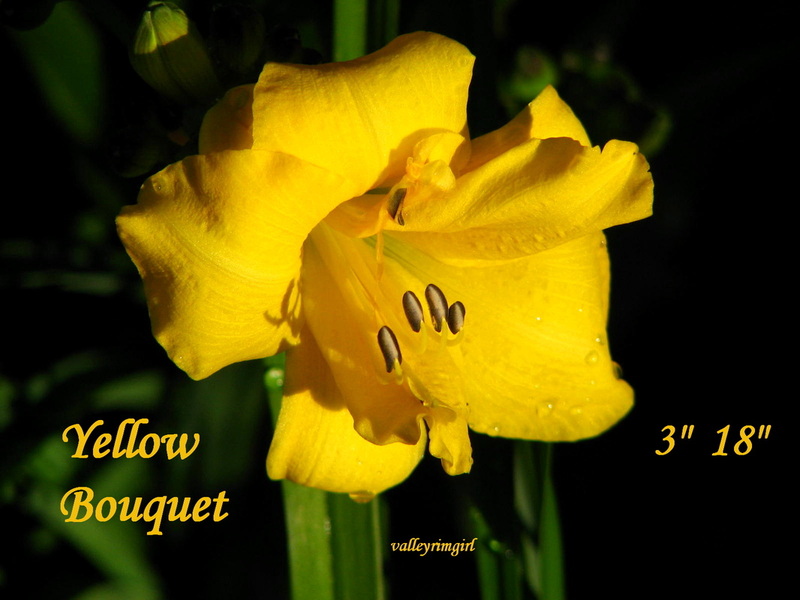 3" double fragrant yellow self. 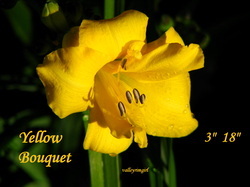 This one has a really nice bright yellow flower that stands out in the flowerbed! 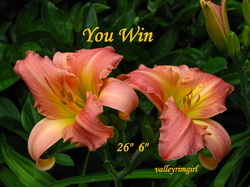 2" double flowers with creamy petals, a red eyezone and green throat. Awards: Junior Citation 1993, Honorable Mention 1998, Donn Fischer Memorial Award for the Best Miniature in 2004. 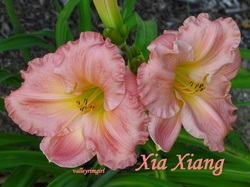 This picture was taken at 7am and shows an orangy base rather than the creamy base it is registered to have. 6" deep pink with lavendar midribs. Yellow throat around green throat.